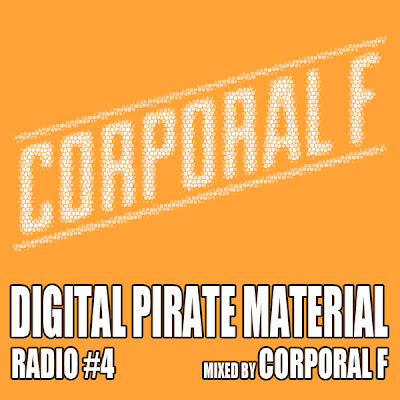 Corporal F throws down the 4th mix in the DPM Radio series with a heavy concoction of Funky, Dark House, Garage, Bass and Grime. With releases on Hot 'N' Heavy Recordings and forthcoming on IA Records with 1point5, we try to get to know Corporal F a little better as he answers some questions for us. I'm Adam, 19 and living in London and Leeds for uni. I produce and spin 130bpm dark house/garage/funky/bass with the occasional dubstep and grime tunes chucked in! I've been seriously producing about 2 years, been officially DJing for about 6 months now but messed around a fair bit before that. Where can we hear you? You can catch me on Rood FM every Friday 8-10pm - rood.fm. The shows recorded and podcasted as well so you can clock that through iTunes. I've got some live sets coming up in London and Leeds so keep an eye on the Facebook and Twitter for announcements on those. If you make it down come say hello! Always nice to hear people are supporting! You can check my tunes at soundcloud.com/corporalf as well. Give us a tune for the summer? Mosca - Eva Mendes. I literally can't wait for that one to drop. But so many huge tunes at the minute lots of people are making some serious heat! Spending the summer making plenty of tunes and hopefully getting some more confirmed bookings. Aiming to have a couple more releases out later this year, and maybe even (dare I say it) start up my own label... maybe... haha. The mix is just a collection of tunes I'm loving at the minute and from people who are making some massive sounds! It's a small part of what you'd hear from my RoodFM show or at a live set.